The Clover Health PPO Medicare Advantage plan provides access to additional coverage than what’s provided under Original Medicare, including easy access to doctors. Clover Health is a technology company and Preferred Provider Organization (PPO) offering simple Medicare Advantage plans packed with essentials, which are meaningfully different from those offered by Original Medicare, along with no-cost routine hearing, vision, and dental coverage. This includes coverage for doctors’ visits (“in-network doctors, out-of-network doctors, and specialists without referrals”), prescription drugs, and hospital stays, along with an annual out-of-pocket maximum and low premiums and copays. Clover members also have access to health-minded extras like assistance finding a doctor or pharmacy, scheduling appointments and arranging transportation, medication reminders, 24/7 doctor visits by phone, video, or mobile app; and access to a mail-order pharmacy with 100-day refills. How can you tell if Clover Health is the right Medicare Advantage plan for you? That’s the central question we’ll help you answer here, starting with the fundamentals. Medicare is a complex federal health insurance program that provides coverage for those who are 65 or older (or who are younger with certain disabilities, or have End-Stage Renal Disease). To make sure everyone’s on the same page when it comes to Clover Health, though, here’s a simple overview of how it works. Part A (Hospital Insurance) – As the name implies, this covers inpatient hospital stays, along with related care in a skilled nursing facility, and hospice and home health care. Part B (Medical Insurance) – Covers certain doctors’ and preventative services, outpatient care, and medical supplies. Part C (Medicare Advantage Plans) – Here, private companies contract with Medicare to “provide all of your Part A and Part B benefits,” including prescription drug coverage, such as Health Maintenance Organizations (HMO), Preferred Provider Organizations (PPO), Private Fee-for-Service Plans, Special Needs Plans, and Medicare Medical Savings Account Plans. Part D (Prescription Drug Coverage) – If this isn’t covered under an Advantage Plan, private companies approved by Medicare might help fill the gap. Using this as our foundation, we can see that Clover Health enters the picture in Part C, since they’re a private company who’s contracted with Medicare to offer their own Advantage Plans. Compared to a Health Maintenance Organization (HMO), PPOs tend to have higher monthly premiums, although members typically can use in-network and out-of-network providers. Members also don't have to select a primary care physician, or have to obtain service referrals. With these high-level basics in mind, let’s zoom in and take a closer look at exactly which coverage Clover Health provides. Which Services and Benefits Does Clover Health Insurance Offer? Even if you reside in one of these counties, you’ll need to have Medicare Part A Part B in place, and you won’t be eligible if you have End Stage Renal Disease, or if you're undergoing dialysis. As with any other plan, the annual enrollment period runs from October 15 to December 7, or the disenrollment period (switching from an Advantage plan to Original Medicare) from January 7 until February 15. Like any other kind of health insurance, the specific coverage provided by your Clover Medicare Advantage plan will depend on factors like your age, your health, and the specific services you require (as well as how often you require them), to name just a few. With this said, we compared Clover’s Green Plans in two states via their website, both of which had more in common than not, since they offered a $0 monthly premium, including part D, $30 in-network specialist visits, $75 emergency visit fees (waived if admitted), and $300 ambulance fees. When it comes to prescription medications, Clover reports their formulary (a comprehensive list of drugs covered by your plan) was designed in consultation with a team of healthcare providers and contains only those deemed medically necessary. In some instances, the company might require that you meet specific pre-authorization criteria (including, but not limited to, trying less expensive options) before a prescription medication is covered. Dental benefits include two annual oral exams and teeth cleanings, along with one dental x-ray, and a $0 copayment. One routine vision exam is covered per year, including an annual allowance for everyday eyewear. If you choose an out-of-network provider, you might be required to pay for services upfront, and then request reimbursement. The company’s prescription benefit plan is administered through CVS Caremark, which offers the ability to order refills online or by phone, and receive orders through the mail. Along these same lines, they’ve partnered with Teladoc for telemedicine services (“speak with a board-certified doctor or mental health professional by phone or video from the comfort of your home”). Clover’s Silver Sneakers program also delivers free access to a network of gyms for a variety of activities, nutritional counseling, and fitness programs, while their Hello to Healthy rewards program helps members earn gift cards for staying up-to-date on your health. With these high-level details in mind, full information about each of Clover’s plans in each state they write can be located between the Formulary, Plan Documents (primarily, the Evidence of Coverage), and Supplemental sections of their website. How Much Does a Clover Health Medicare Advantage Plan Cost? As with coverage, the price you pay for a Clover policy will vary. For additional pricing and coverage questions, a member of Clover’s Enrollment Team can be reached between 8 am and 8 pm ET, seven days a week, at 888-781-3235. Are There Online Clover Member Reviews? Clover Health was co-founded in 2012 by board members Vivek Garipalli and Kris Gale (Chelsea Clinton is also a board member), as a healthcare technology company focused on collecting specific data and then using it—a process called ‘predictive analytics’—to improve the health of their members, while lowering costs. They’re headquartered in San Francisco, CA with offices in Jersey City, NJ. 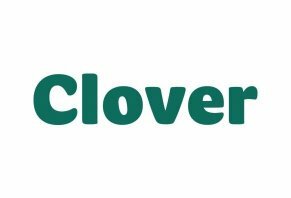 Despite their length of time in business, though, we didn’t encounter any direct online member feedback for Clover at the time of our research. The Henry J Kaiser Family Foundation reports that as of 2017, 67 percent of those enrolled in Medicare were on traditional plans, while the remaining 33 percent had Advantage Plans. And of those with Advantage plans, 63 percent were enrolled with an HMO; 33 percent with a PPO. Considering the similarities between at least two of these tech-oriented Medicare Advantage providers, what’s the best first step when choosing the best option? With this important caveat in mind, they point out that while most Medicare Advantage plans cover prescription drugs, your monthly premium could exceed what you’d pay for similar coverage under Part D of Original Medicare. So, if you’re currently under an Original Medicare plan, be sure to closely calculate your expenses before shifting over to an Advantage Plan. On the slip side, Original Medicare also charges members 20 percent coinsurance for most services, doesn’t have an annual spending cap, and doesn’t offer vision or dental coverage. Also, keep in mind that if you’re thinking of making a leap from Original Medicare to an HMO, you might find that you need to receive authorization from a primary care doctor before seeing a specialist. Juggling all of this information, where are you left when it comes to Clover Health? According to the CNBC article cited earlier, “Consulting firm PricewaterhouseCoopers expects the Medicare Advantage market to generate more than $350 billion in annual revenue by 2020.” And considering the rapid growth of insurance and financial-related technology, it’s almost a certainty that Clover Health has some close competition on the horizon. Until Devoted Health launches in 2019, though, they and Bright Health are the only games in town. And since they service completely different states, if you’re looking for a tech-focused Medicare Advantage PPO plan, choosing between the two will likely come down to where you live. Write a Review for Clover Health!